Get Best Web And Mobile App Development Experience With Hyperlink Infosystem! Hyperlink Infosystem is one of the leading mobile app development companies that offers the best web and mobile solutions in Switzerland, Zurich and other parts of the countries. 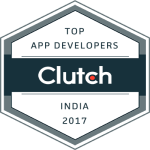 We do everything right from design, development till the launch of highly scalable and robust solutions on App and Play store respectively. We are highly experienced in native and web development and have served multiple startups, businesses, and fortune 500 clients. Our rich and broad portfolio includes various enterprise, business and consumer applications in numerous verticals like entertainment, lifestyle, healthcare, education, retail, and gaming. Whether it's Marshmallow or Android Nougat, our developers are highly adapted to develop an application with the best innovations and latest technology. So, if you are looking for top mobile app development company in Switzerland or Zurich, Hyperlink Infosystem is the best address. Just submit us your requirements and we will be in touch with you soon. We provide mobile app development services in Switzerland, Zurich and other parts of the world in Android, iPhone and AR & VR Game development. Our skilled and expert team is ready to deliver custom mobile apps with the shorter development cycle. We are perfection stickler and follow the strict timeline. That's what makes us successful in the mobile app industry. We are highly engaged in the creation of modern and updated applications that fulfill the client's business goals and requirements. You can visit our portfolio to see the demonstration of services we deliver to clients. Our professional web developers offer website development solutions for a wide range of companies right from startups, individual entrepreneurs till big industry leaders. We make use of the latest tools and technologies to ensure that all our websites developed are highly responsive and mobile friendly. We are also engaged in progressive web app development. Our web developers offer customized E-commerce solutions, PHP website development and also mobile web apps that support responsiveness and also progressive. Why Should You Select Hyperlink Infosystem As Your Development Partner? No matter what type of application you want to develop, we can deliver you the best app at a quite affordable price. Contact us now to get the best project quote.